SeekOut has powerful search of public profiles and GitHub. Sometimes, however, you want to find candidates from other pools of talent. To help with this, SeekOut provides custom search engines (CSEs) for finding candidates on a wide variety of other Social and Professional Networks. You'll find these CSEs under the Social Networks tab at the top of the SeekOut search page. SeekOut's search of these networks is not as powerful as our search over LI Public Profiles or GitHub, but it can help you find candidates who can't be found in other sources and give you more information about candidates you find elsewhere. Automatically building a search focused on people, not just any web page. With our custom search engines, you'll only see profile pages for people. These searches will return structured data (using schema.org tags) which allow for rich captions. Seeing more detail in the search result increases your efficiency. We've encoded additional logic in these searches (using synonyms, url patterns, etc.) to improve queries. Like everything in life, however, there are tradeoffs to be made. One of the downside of CSEs is that -- for now -- they only return 100 results per query. SeekOut provides different access to Social Network search with our different subscription plans. SeekOut Basic subscription includes CSEs for AboutMe, Facebook, Google+, Indeed, Instagram, Meetup, Pinterest, and Twitter. SeekOut Premium subscription includes CSEs for AboutMe, Angelist, Archinect, Behance, Dribble, Facebook, Google+, Indeed, Instagram, Meetup, Pinterest, StackOverflow, and Twitter. 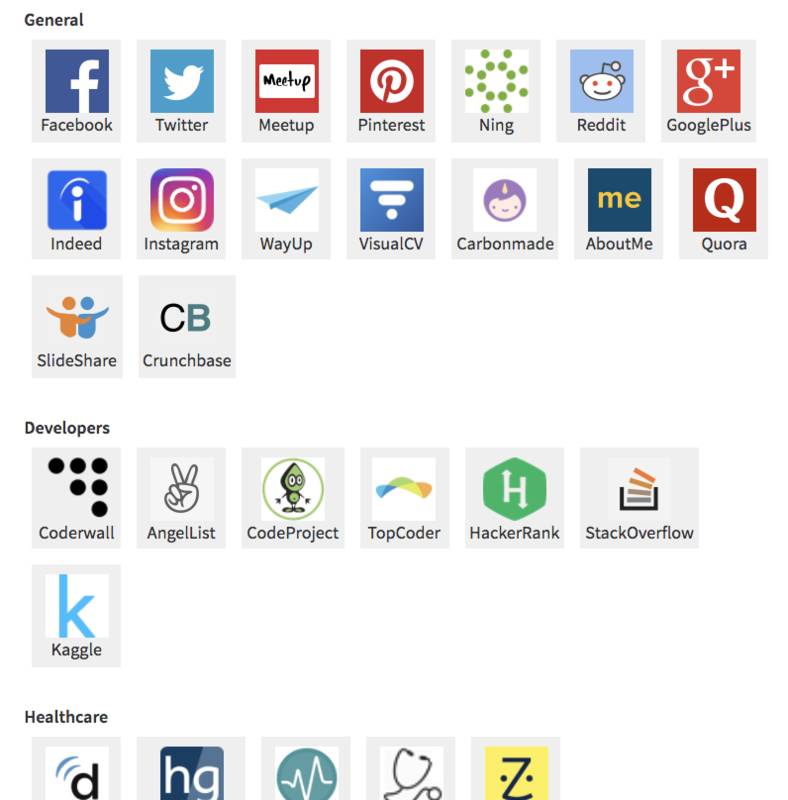 SeekOut Premium Tech subscription includes CSEs for AboutMe, Academia.edu, Angelist, Archinect, Behance, Carbonmade, CodeProject, Coderwall, Crunchbase, Doximity, Dribble, Facebook, Freelancer, Google+, Google Scholar, Guru, HackerRank, Healthgrades, Indeed, Instagram, Kaggle, Loop, Meetup, Ning, NPI No, Patents, Pinterest, Quora, RateMDs, Reddit, Slideshare, StackOverflow, TopCoder, Twitter, VisualCV, WayUp, and ZocDoc.